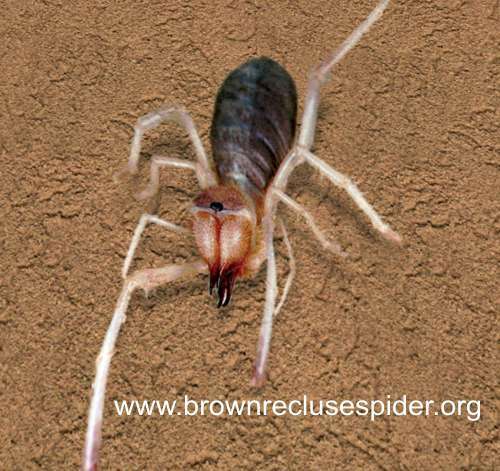 Actually, the Camel Spider --"wind spider", "sun scorpion"-- is not a spider but an Arachnid solifugae (latin= "flee from the sun") as big as 15 centimeters long --6 inches-- with its legs widespread. 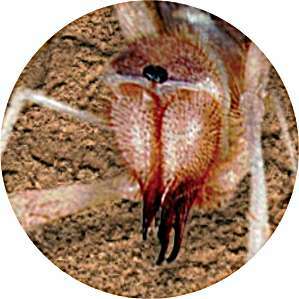 Look at these pictures of a camel spider to get a glimpse of its appearance. The claws- which can be perfectly seen here- are used to catch its prey before attack. Learn every inside aspect of this specimen following the links on the menu.